We love hearing about the achievements and adventures of our friends. We thought we’d share a very inspiring one with you. Our friend Matthew Gallagher will be embarking on a huge endeavor with Peter Wilson – Three Journeys Round. Round Africa 2016, Round the World 2017 and Round Latin America 2018. 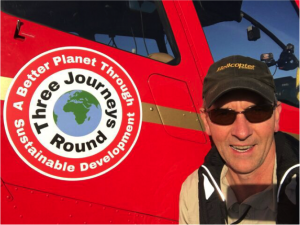 Last year Peter Wilson travelled solo by helicopter through 23 different countries to complete a journey around Africa of about 16,600nm in 73 days. This is part of an epic project, which he calls Three Journeys Round. The purpose of the journeys is to raise the profile of ‘a better planet through sustainable development’ and fundraise in aid of Save the Children and Motivation. On 8th April 2017 Peter who has been joined by Matthew Gallagher set off on his second journey, travelling east around the world through 41 countries. Peter and Matthew are telling the en-route story via social media and sharing the journey tracked by satellite beacon. Peter is a retired engineer and pilot devoting his time to sustainable development projects. 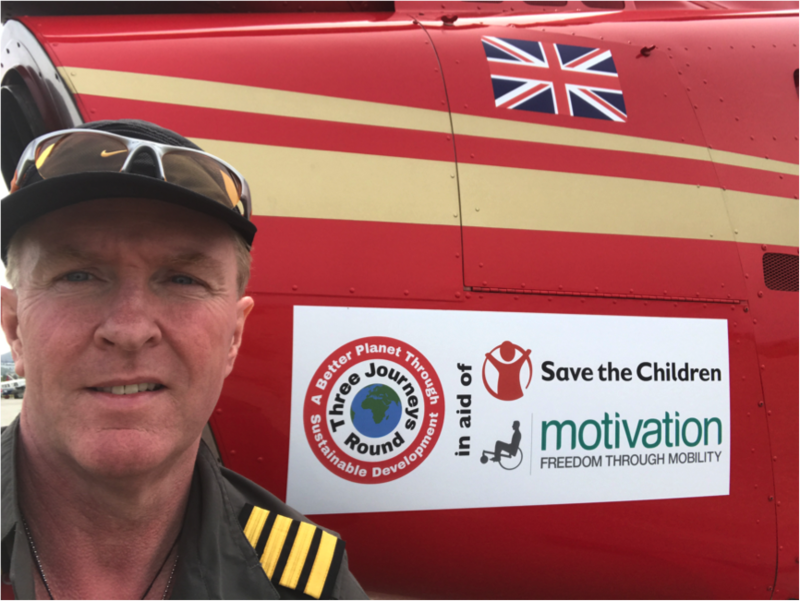 Matthew is a Chartered Accountant and Pilot supporting Peter with his vision and project.